Can You Eat Junk Food If You're Breastfeeding? You may hear or read a lot about eating right when you're breastfeeding. Sure, you want to try to eat a well-balanced diet as much as possible. Eating healthy foods gives you the nutrition you need to heal from childbirth, fight off that new mom fatigue, and establish a full breast milk supply for your child. But, that doesn't mean you have to eat perfectly every minute of the day. You don't have to give up all that treats and snacks that you love because you're breastfeeding. It is OK to have junk food, but like everything else, you just don't want to overdo it. Your body uses energy to make breast milk. That energy comes from the calories in the foods that you eat. A breastfeeding mom needs to take in extra calories each day as part of a healthy breastfeeding diet. 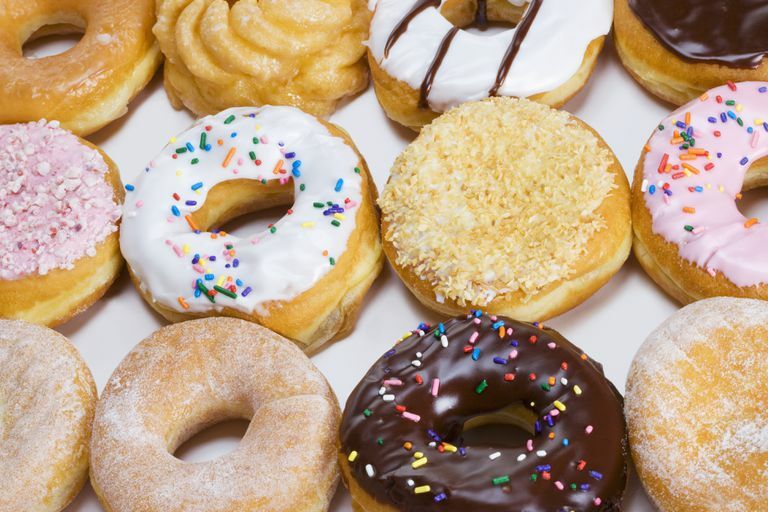 It may seem like eating a doughnut, or a few cookies can help you to get more extra calories while you're breastfeeding, but those are empty calories. The calories that you get from sweets, cakes, and junk food are not the same as the ones you get from healthy foods. So, while it's OK to have some empty calories during the day, you want to do your best to get most of your calories from foods that give you the energy you need to make breast milk and keep your body healthy. Empty calorie foods are high in unhealthy fats and sugars. They include chocolate, candy, cakes, doughnuts, chips, pastries, fried chicken, bacon, sausage, cold cuts, pizza, ice cream, hot dogs, butter, and high-fat cheese. These foods may taste good, and they're typically easier to grab when you are tired or busy, but they fill you up without giving your body any of the healthy nutrients that it needs. It's easier to skip the junk if you keep healthier snack choices available in your home. When you have a variety of tasty, healthy treats prepared and ready, they will be just as easy to grab when you're busy and hungry as that bag of chips or bar of chocolate. Here are a few examples of the things you can have ready and waiting in your kitchen for when you're craving a quick snack. Sugary drinks such as soda, sports drinks, and fruit drinks are another source of empty calories. You don't have to avoid them altogether, but it's a good idea to limit how much sugar you take in through your beverages. Water, hot tea, ice tea, lemonade, and low-fat or non-fat milk are good alternatives. If you like to cook or bake, you can make your own treats and desserts with a breastfeeding twist. By using milk-making ingredients such as oatmeal, ginger, or almonds, you can turn a sweet treat into a breastfeeding superfood. You can find recipes for lactation cookies, bars, beverages, muffins, and more in breastfeeding books or online. You shouldn't deprive yourself of your favorite treats while you're breastfeeding, but you shouldn't overdo it either. Overindulging in empty calorie foods can affect your overall health, cause you to gain weight, and put you at risk of developing diabetes or other weight-related health issues. And remember, if you put on a lot of extra weight during pregnancy and breastfeeding because you take it as a license to eat everything in sight including tons of junk, it's just more you have to lose after you wean your child. So, definitely enjoy a treat now and then, but try not to get into the habit of making junk food your go-to snack. Popkin BM, Adair LS, Ng SW. Global nutrition transition and the pandemic of obesity in developing countries. Nutrition reviews. 2012 Jan 1;70(1):3-21. U.S. Department of Agriculture. Nutritional Needs While Breastfeeding. Choose MyPlate. July 29, 2016. U.S. Department of Agriculture. What are empty calories?. Choose MyPlate. September 30, 2015.